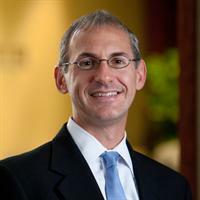 Dan Rosio is the partner-in-charge of Katz, Sapper & Miller’s Valuation Services Group. Dan’s background includes providing valuation, litigation and business advisory services to a wide variety of clients. He has extensive experience in project management, financial statement analysis, financial modeling, report writing and other due diligence services related to business valuation services. Dan has completed hundreds of valuation and litigation engagements in his career. Prior to joining the firm, Dan served as an assistant vice president and project manager with Goelzer Investment Banking. He also served with the Indiana Department of Education as a fiscal policy analyst for the superintendent of public instruction and as a budget analyst for the governor’s fiscal management office, the State Budget Agency. Dan received a Bachelor of Science degree from Purdue University and a Master of Business Administration degree from Butler University. Dan is an Accredited Senior Appraiser of the American Society of Appraisers and is a member of the Indiana Chapter. Additionally, he is a member of The ESOP Association and the Estate Planning Council of Indianapolis. Dan is also a member of St. Elizabeth Ann Seton Catholic Church and volunteers on an ongoing basis.